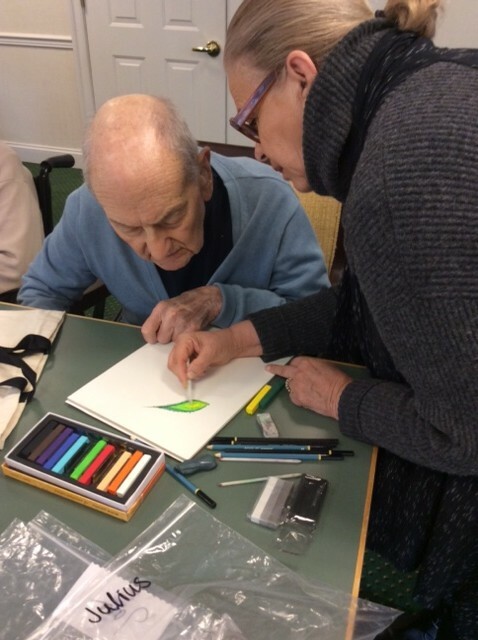 Through their unique business partnership, Brandywine Senior Living and the Pennsylvania Academy of the Fine Arts (PAFA), kicked-off 2016 with a collaborative art program called Life Through Art – My Story for senior living residents at their communities in Haverford and Upper Providence. The on-site, customized 10-week program, facilitated by PAFA affiliated instructors, was designed to bring about breakthroughs in personal artistic expression for participants. Artworks will be created and influenced by events and encounters that celebrate participants’ lives and past recollections. 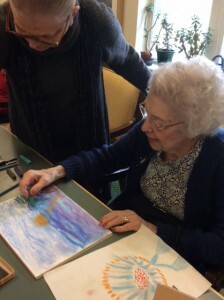 Participating residents will be introduced to a variety of approaches utilizing materials common to traditional usage such as pencils of varying grades, charcoal, conté crayons, graphite sticks and colored media for an end project that will showcase their Life Story. At the end of the 10-week program, a formal exhibit of completed works will be shown at select Brandywine locations and the Pennsylvania Academy of the Fine Arts in Spring 2016.